The path to selecting an ERP platform is not an easy one. A high risk, high reward decision featuring long implementation windows and high customization costs, ERP software can position a business for sustainable and strategic growth—but only if it’s done right. Every ERP is broken down into smaller parts, customized to your organization’s unique needs. Whether this is your first project or you’ve made this decision numerous times, you likely know that the financial management module is at the heart of the application. Any additional module or functionality needs to flow seamlessly with financial management so that decision makers can act, strategize, and drive their business further. Knowing this, it’s not the only part of the equation, and in the coming weeks, we will look at additional functionality that an ERP should have (or at least offer). Today, we would like to share with you one of the most important parts of your day-to-day operations and something that should be a driving force in your ERP decision making. An ERP application is the sum of its parts. Throughout your ERP decision-making process, you will need to weigh the functionality that is most important and decide if each vendor has the ability to handle your unique needs. Some functions can be worked around, others can be tackled by software designed for that specific purpose (e.g. budgeting, invoice management, etc. ), but there are certain must-have functions that an ERP should do well. One of these is cash management. What is Cash Management in ERP? Cash management provides information relating to cash flow of the organization, by processing and analyzing all cash and bank transactions, arising out of payment of supplier’s invoices, receipt from sales invoices, standalone payment and unallocated payment / receipts. Cash Management in ERP software is designed to give you a complete view of your cash flow, allowing you to track balances across all bank accounts, currencies, and entities to gain a better understanding of current and future cash needs. This functionality helps you understand cash requirements, enhance cash forecasting, and see the bigger picture by integrating with applications within and outside financial management. At the core of any strong business is its ability to manage its cash, knowing exactly what it has, what it can spend, and where the money is coming from at any given moment. This makes cash management one of the key features of any strong ERP, as businesses who can see where they stand can make faster, more informed decisions on how to spend their money. Acumatica delivers a full suite of integrated business management applications unlike any other ERP solution on the market today. 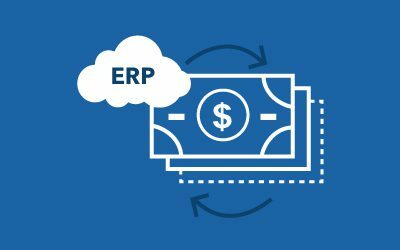 Offering a wide range of products for unique industry needs, Acumatica ERP features a strong cash management application for businesses who need a flexible, adaptable, and robust ERP solution that will grow with them. Acumatica Cash Management is part of the Acumatica Financial Module and integrates with other necessary functionality based on your industry and unique needs. Learn more about Acumatica Financial Management, your path to making an ERP decision, and contact us to learn how we can help you.